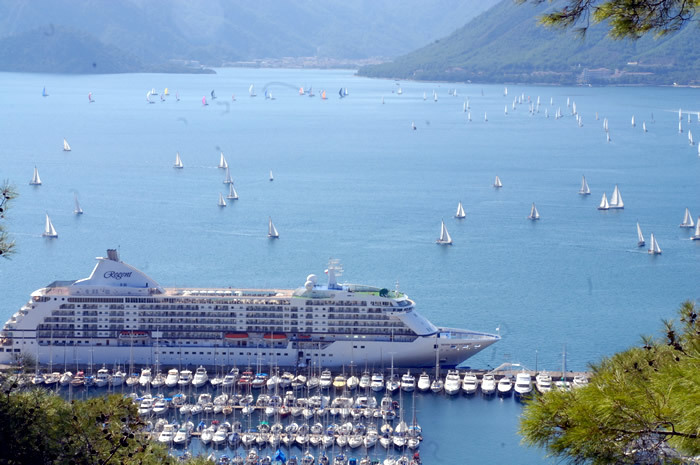 Marmaris Cruise Port Inc. leased the rights to manage the port of Marmaris from the state in 2001 for a period of 30 years. The shareholders are all local businessmen who are involved in tourism, travel and hotel related businesses. Since 2001 the company has invested heavily in improving the infrastructure of the facility, including the passenger terminal, and has also expanded the pilotage, towage and waste collection services as well as achieving ISPS compliance. Perhaps most importantly however, a strong marketing campaign has increased cruise traffic. 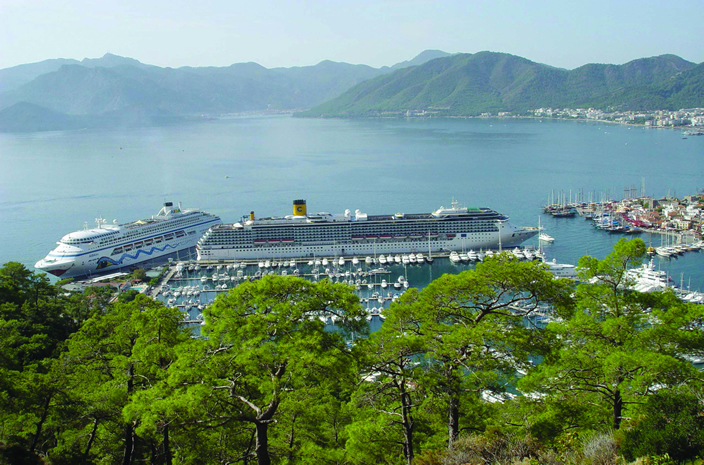 Up until 2001, there were only 3 or 4 cruise ships calling annually at Marmaris. In the years following privatization, cruise ship visits have snowballed every year, and the port currently welcomes around 100 calls and 120,000 passengers annually. 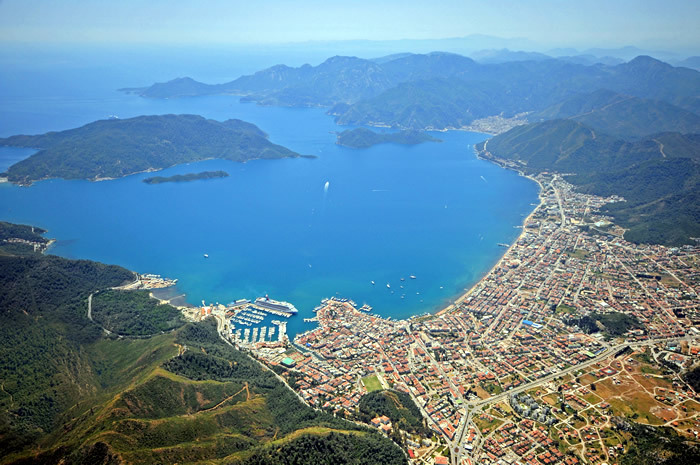 The port also is the main gateway for Marmaris town as an international connection hub, with excellent air and land connections as well as frequent ferries between Marmaris and the Greek island of Rhodes, carrying as many as 120,000 passengers a year. 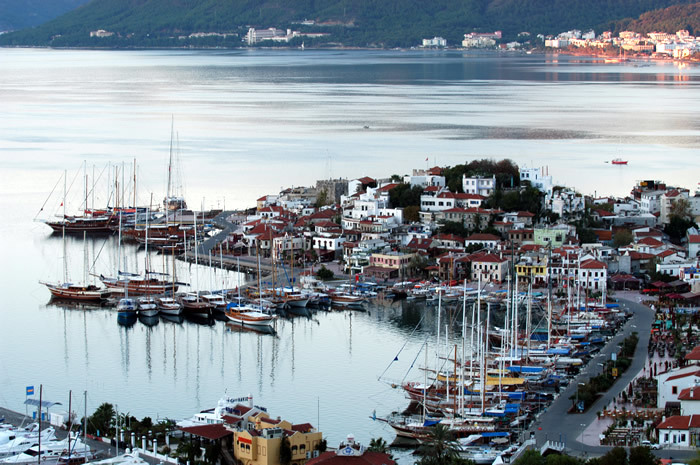 We are also a regular port of call for cargo ships engaged in the yacht transport trade, who use Marmaris as their Eastern Mediterranean loading base. Plans to develop new annexed pier of 300m are underway and just awaiting final approval from the Turkish Ministry of Tourism. This project will increase capacity from 1 mega + 1 medium vessels to 3 mega + 1 medium cruise ships able to dock simultaneously. Once final permission is granted, construction will begin immediately and is expected to take around 10 months to complete. Didim Cruise Port, a new port of entry into Turkey, is also managed by Marmaris Cruise Port. Didim is situated on the south-west Aegean coast of Turkey between Bodrum and Kusadasi. It is a sheltered bay, ideal for anchoring ships, with a golden, sandy beach within easy walking distance from the pier for cruise guests. 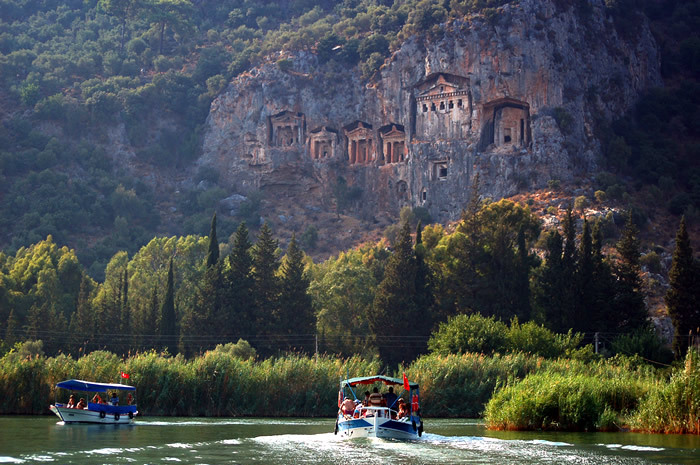 Also, a regular fast-ferry connection runs during the summer months to the Greek islands of Kos, Patmos and Samos, all of which are within a radius of 30 nautical miles. The pier at Didim Cruise Port is currently only suitable for ferries and tenders. The passenger terminal is new and the whole facility is of course ISPS compliant.